Work with a top M&A team with a singular focus: achieving outstanding results. Our dedicated team has 50+ years of investment banking experience and has facilitated hundreds of transactions worth billions of dollars of aggregate transaction value. Principals of Taureau Group have successfully completed hundreds of M&A transactions for a wide array of clients in virtually every industry. Transactions typically involve closely held and family-owned businesses, and private equity firms with transaction values ranging from $10 million to $250 million. We are committed to meeting the unique needs of middle-market companies and their owners, delivering highly creative financial solutions and a level of professional service that consistently exceeds their expectations. Taureau Group combines the capabilities of large, bulge-bracket investment banks with the service and responsiveness of a smaller firm. 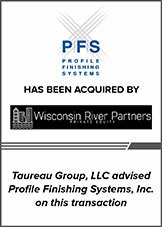 Why Taureau Group? 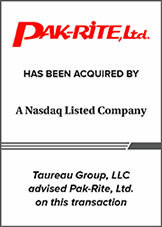 The Taureau Group name reflects our optimistic stance and relentless drive to realize the best outcomes for our clients. 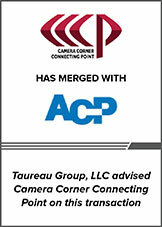 Our history has followed an intentional evolution, from our roots as Schenck M&A Solutions and part of a regional CPA and consulting firm, to our restructure as an affiliated entity known as Taureau Group and later as a fully independent investment banking firm in 2019. Watch this video to find out what makes Taureau Group the right investment bank to serve your needs.